Owners of tire stores need an outstanding web image in order to take the lead over their competitors. And the theme you see here can serve as an efficient tool to reach this goal. Due to its spectacular design, you will have an opportunity to position your company as a leader in the industry. People will get such an impression when they take a look at its dark imagery signifying authority in the psychology. Dark pictures also divide the template's clean layout for better visual comprehension of the content, while blue elements ideally harmonize with its black and white design. To help you bring more visitors to your site, there's an option of social media integration. 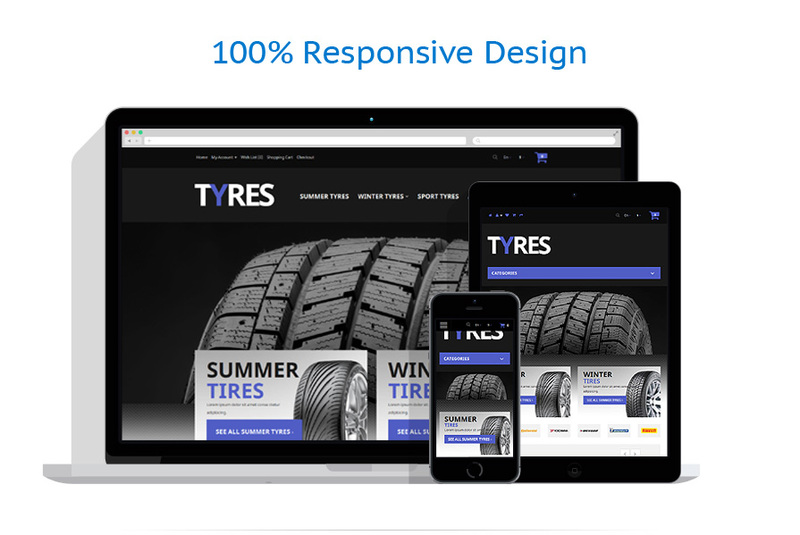 As you see, online presence of your tire store can largely benefit from this theme. 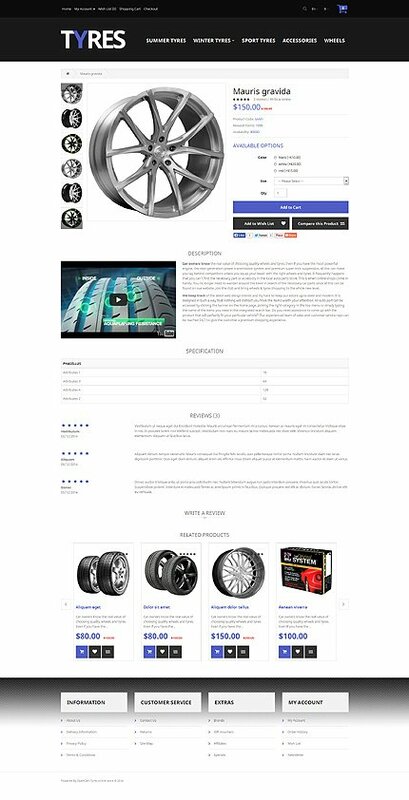 This template will come in handy for cars, maintenance, tools equipment, and business websites.